Women, Religion and Leadership focuses on women from the traditional context of women as leaders with chapters observing various aspects of leadership from specifically chosen religious female leaders and going on to examine the legacies they leave behind. 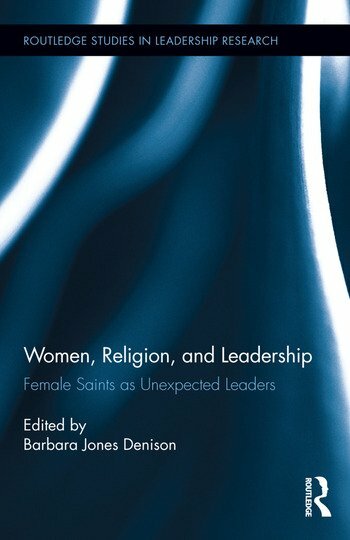 This book seeks to identify and analyse the gendered issues underlying the structural lack of recognition for women within the church and to examine the culturally constructed narratives related to these women for evidence of their leadership despite the exclusionary rules applied to force their submission to the dominating forces. Finally this book intends to draw out of these women’s stories the various lessons of leadership that invoke current relevancies among prevailing leadership paradigms. Written by experts from disciplines as varied as leadership and communication studies to sociology, and history to medievalist and English scholars; Women, Religion and Leadership will prove key reading for scholars, academics and researchers is these and related disciplines. 2. Hilda of Whitby (614 - 680): Unexpected Leadership by the "Mother of Bishops"